Randi Rahm knows that, when it comes to special events, women want to make an entrance. So her cocktail dresses and gowns are known for intricate beading, flattering silhouettes and glittery style. 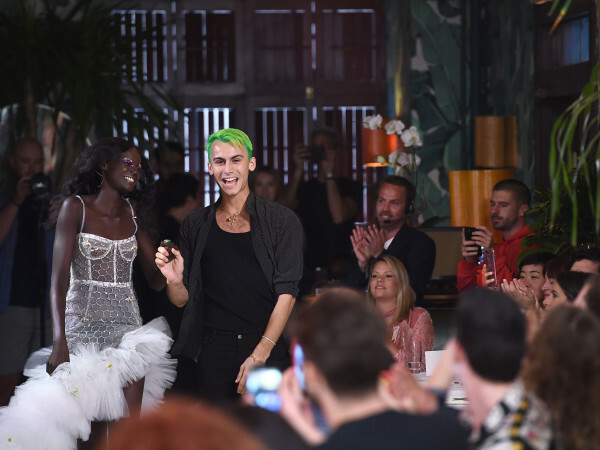 "Most designers forget about the real women who are wearing these garments and are thinking about how they will look on these gorgeous nymphets walking down the runway," Rahm says. "What doesn't look good on these girls? A bag with a tie would look fantastic. But you have to make the every day woman feel the same way. It's really important that they feel good about themselves no matter what they are wearing." But she doesn't discriminate against celebrities. Since opening her atelier on New York's Fifth Avenue in 1998, Rahm has been creating gowns for stars like Jennifer Lopez, Chita Rivera, Tracee Ellis Ross, and Joan Rivers, a close friend who often wore a cocktail dress that Rahm made especially for her. The "Joan," an A-line sheath with embroidered jeweled sleeves continues to be a top seller. "If Joan wore that dress one more time I told her I was going to have to go to her home and pull it off her back," Rahm recalled. "When she loved something, she didn't care if she wore if more than once. That's my theory: If you make someone look feel good about themselves, they want to wear that dress." But Rahm, whose collection is available in Houston at Elizabeth Anthony, feels just as strongly about her regular clients, who she feels a kinship, too. 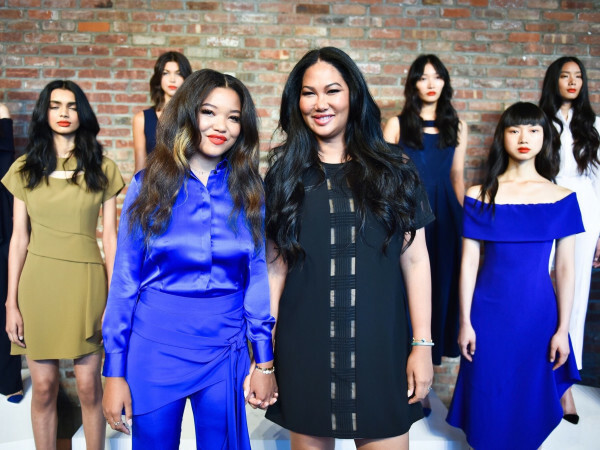 "It's such a joy to be able to make these dresses," she says. "I have to sell to me and all my friends and all your friends — the real people. So it's very important to me." 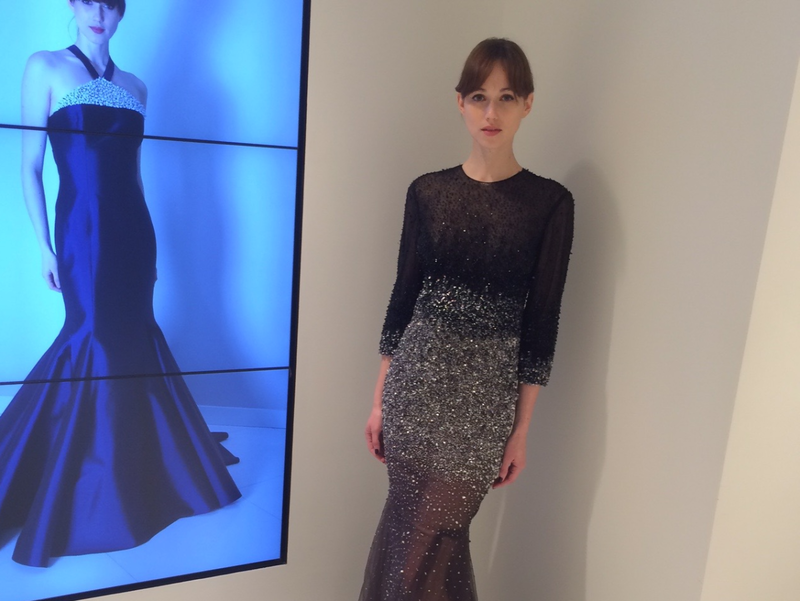 For fall, Rahm's collection features gowns in rich muted jewel tones and textured fabrics. All are made in her atelier and no two are exactly alike. Among the eye-catchers spotted during New York Fashion Week visit were a black-and-silver ombre jeweled gown, a red jersey gown with a Y-shaped neckline, a black taffeta princess gown emblazoned with silver bows, a burgundy mermaid gown with lace V-neck and a beaded dress with a red underlay that gives it a special sheen. "For fall, it's about color and texture," Rahm says. 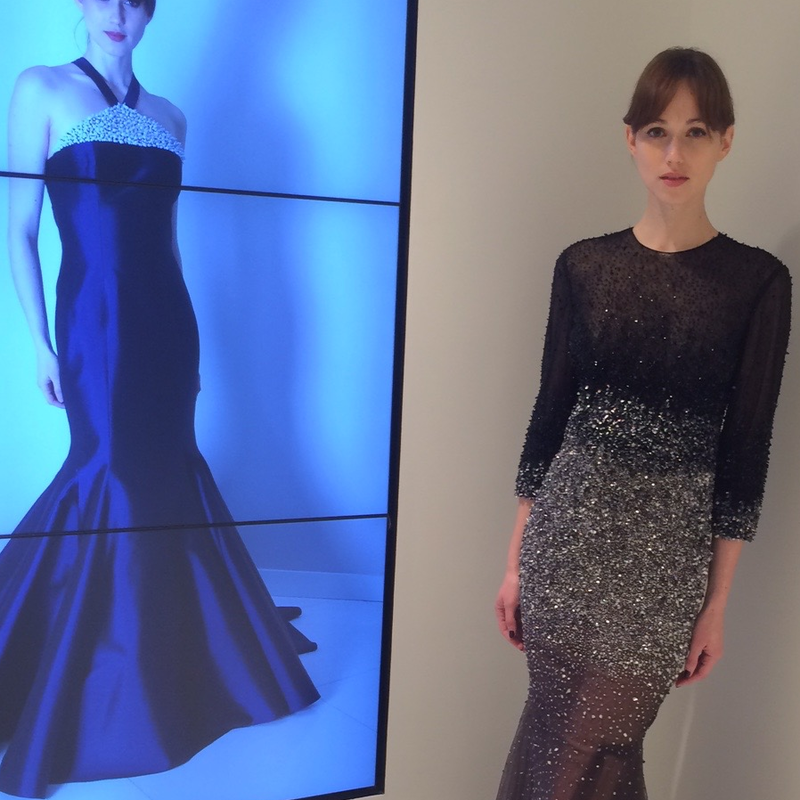 "Yes, I make beautiful little black dresses, but everybody has to step out."